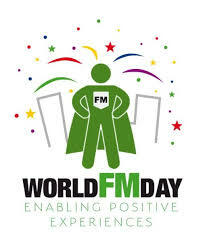 World FM Day 2019, which will be held May 15, is a chance for FMs to celebrate and promote a $1.15 trillion global industry with 65,000 professional and industry participants around the world. This year’s theme is “Celebrating global ISO FM Standards,” which acknowledges the milestone of creating the ISO 41000 series of Standards and Technical Report focussed on the global FM industry, according to Global FM. Click here to see IFMA’s plans to celebrate World FM Day 2019. The purpose of World FM Day is to recognize the vital work that facilities management professionals and the facilities management industry contribute to business worldwide. It aims to raise the profile of the FM profession, not just in member regions, but anywhere FMs influence the health, safety, productivity and well-being of people who utilize the built environment. There are events happening all over the globe; find out more at globalfm.org/events/.